Vegan protein powder... for dessert? 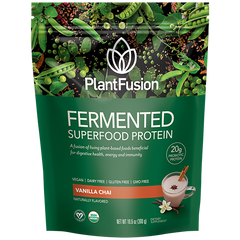 When you think about plant proteins, dessert flavors are probably not the first to come to mind. But through our Flavor Pure™ method for creating delicious all-natural flavors and colors, now you can have your cake... and eat it, too. Introducing, Red Velvet Cake Complete Protein! Plant protein? Dessert? Are you serious? They have nothing in common. Red Velvet Cake wasn’t designed to be natural! As consumers, you’ve been down this road before. Since we were children, we’ve been led to believe that if something tastes too good then it can’t really be good for you. So we understand your skepticism but, before you judge, please let us explain. There is an exciting new frontier emerging in natural flavors and we want to take you there! So read on, and don’t miss the FREE OFFER at the end. You may have tried protein powders in the past that were clumpy, yucky, and tasted more like grass than a dessert. This is often the result when supplement companies try to mask the taste of protein with heavy, artificial flavors. We take a different approach. As part of our Flavor Pure™ process, we search the world for natural ingredients with a long history of health benefits. Many of these ingredients have been forgotten and passed over as the food system has moved towards cheaper artificial ingredients — but their benefits have remained unchanged. Flavor Pure™ takes into consideration the entire sensory experience - flavor, sweetness, texture, color, and smell. In this article, we’ll focus on the elements that are most unique for the new Red Velvet Cake Complete Plant Protein. There Are Amazing Flavors in Nature. You Just Have to Find Them. Our definition is more simple and straightforward, yet more stringent than the FDA’s (sadly). Free from all major allergens and GMO’s. We believe that it is possible to achieve amazing flavors and still maintain the highest standards. We’re inspired by great chefs like Ellie Krieger www.elliekrieger.com who hosts cooking shows on The Food Network and Public Broadcast Television. Ellie proves over and over in her cooking that the most incredible flavors and delicious foods come from using natural ingredients. Just like Ellie, we’ve found that there are natural plant essences (oils and extracts) that come from vegetables, berries and even flowers that offer an almost endless array of flavor possibilities. The key is to know what they are and how to prepare them. Very few brands in the supplement industry actually work with real chefs the way we do. Plus, we have a staff of in-house experts who have worked for years developing and crafting natural flavors. And that’s how we’re able to create options like Cookies 'N Creme, Chocolate Caramel, and now Red Velvet Cake — indulgent flavors that the other brands won’t dare even take a shot at! Monk, Lucuma and Yacon - Two Fruits and a Root Make it Sweet! Red Velvet is actually a “cake” flavor. So we wanted it rich like cake, not sweet like candy. Obviously sugar and artificial flavors are not an option. And while stevia is a popular natural sweetener, it tends to have some offnotes that wouldn’t work well with this flavor, so we used very little. For this very special flavor we had to dig deep into the forest to find three more exotic sweeteners which are: monk fruit, lucuma fruit, and yacon root. We’ll talk more about each of these in future posts but, with these three special ingredients, we were able to achieve just the right level of sweet that isn’t too overpowering and doesn’t have an “artificial” feel. Usually, when you open a canister and see a deep red colored powder, you're about to eat Red 40, an artificial dye. Red 40 is good at one thing: dying food red. It's horrible for your health and has been linked to everything from allergies to certain cancers. Clearly, that's not an ingredient we would ever allow into our protein powders. When we came across beet root powder, we knew it was the perfect (not so) secret ingredient to add natural color to our Red Velvet Cake Complete Protein. Beet powder has long been used to color organic foods that range from jams to strawberry ice cream. Farmers even add beets to fresh apple cider for a deeper, richer color and flavor. Don't even get us started on the health benefits of beets! While they are low in calories, beets are packed with vitamins and minerals. The pigments that give beets their red color are known as betalains and are powerful antioxidants. They're certainly a healthier choice than Red 40. In ancient times, beets were used to treat headaches, toothaches, skin problems, wounds, and even constipation. During the Middle Ages, beets were a favorite remedy for digestive ailments. Believe it or not, beet root powder also contributes to creamy sweetness that reminds you of cake. As you can see, this red velvet cake protein provides a lot more than just protein. Thanks to natural, plant-based ingredients, it provides pure energy-sustaining nutrition without any of the bad stuff. What you eat after your workout impacts your results. You don't want to undo all of your hard effort by reaching for a candy bar or cookie, even though you may be craving something sweet. You could reach for the whey protein but you might pay later with an upset stomach! Red Velvet Cake Complete Protein is the healthy, vegan, post-workout treat that satisfies your sweet tooth without sending you into sugar overload. 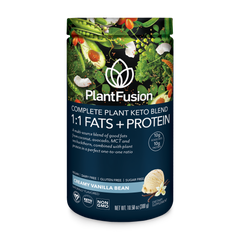 With 21 grams of protein, zero sugar, and only 120 calories, this is a protein shake that restores your energy and gives your body the building blocks it needs to repair tired muscles. If you're already using plant protein supplements post-workout, add Red Velvet Cake to your rotation for some new excitement. Dreaming of the smooth, indulgent flavor will make those last few miles on the treadmill or the exercise bike fly by. And then there are the late-night cravings... those ones that have you tempted to get in the car and drive to the nearest ice cream shop. Cravings can really creep up on you, and if you give in, you'll sabotage your diet efforts. Keep a bottle of Red Velvet Cake Complete Protein on the counter for those emergencies. You'll trick your taste buds into thinking you just enjoyed a hearty slice of cake... but you'll know you made the right choice with a healthy snack. Clumpy, grassy plant protein powders? No thanks! Try Red Velvet Cake Complete Protein for a delicious post-workout snack or late-night treat. Beet root powder adds vitamins and minerals for an extra boost, and you don't have to worry about scary side effects from artificial dyes or flavors. And one more thing: should you crave an even more indulgent healthy treat, you can use Red Velvet Complete Protein to make a smoothie bowl! It's an awesome, protein-packed breakfast that will keep you going all day long. Win a Free Bottle and/or Try a Sample (three simple steps). Available between now and Sept 30th, 2018. On Instagram, post your recipe and tag #redvelvetplantfusion so that we can see your entry. On Facebook, post your recipe with photo to our page. We will pick a winner in early October 2018 and message you. Enjoy — and don't let someone else beet you to that prize! Well, I was gonna buy a sample then decided to get a 2lb tub of red velvet with the 25% code: RVPP25. Entered code at checkout and site says: “Unable to find a valid discount matching the code entered”. Thought maybe the samples in my cart were the problem. Removed them, same error. Thought maybe I could only use on 1lb tub. Removed 2lb tub from cart added 1lb, tried again, same error. After that, I abandoned my order. Did you add extra red flavoring to this? Mine does not look this red.